1. Information on how to enter and information in relation to this offer form part of these Terms and Conditions. 2. Offer is only available to Australian residents 18 years and older. 3. 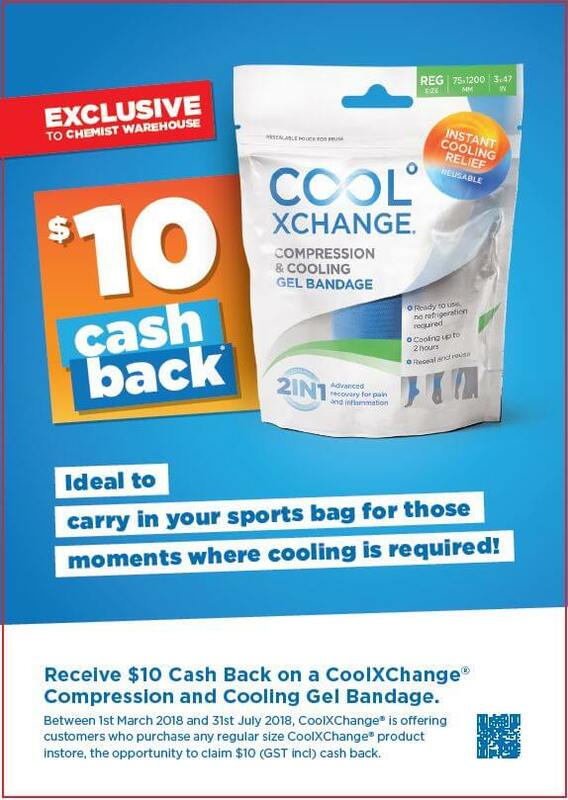 Cash back is valid on product labelled CoolXChange® in size regular. of an EFTPOS or Gift Card. 5. $10 Cash Back will be awarded to the successfully validated recipients. Total prize pool: $25,000 (Inc GST). occurs first. Promotion applies to instore purchases only. Does not apply to online purchases. purchase must be clearly visible. Claimants must retain the original purchase receipt. 8. The purchase date is determined by the date of the store tax invoice submitted by the customer with the claim. 9. All claims must be received prior to midnight (Eastern Standard Time) on 31st July 2018.
conjunction with any other special offer. of all claims. The Promoter’s decision is final and no correspondence will be entered into. 13. The Promoter takes no responsibility for late, lost or incomplete applications. Promoter at its address set out below. 10 Eastspur Court, Kilsyth VIC 3137.